Wingspan14 to16mm. 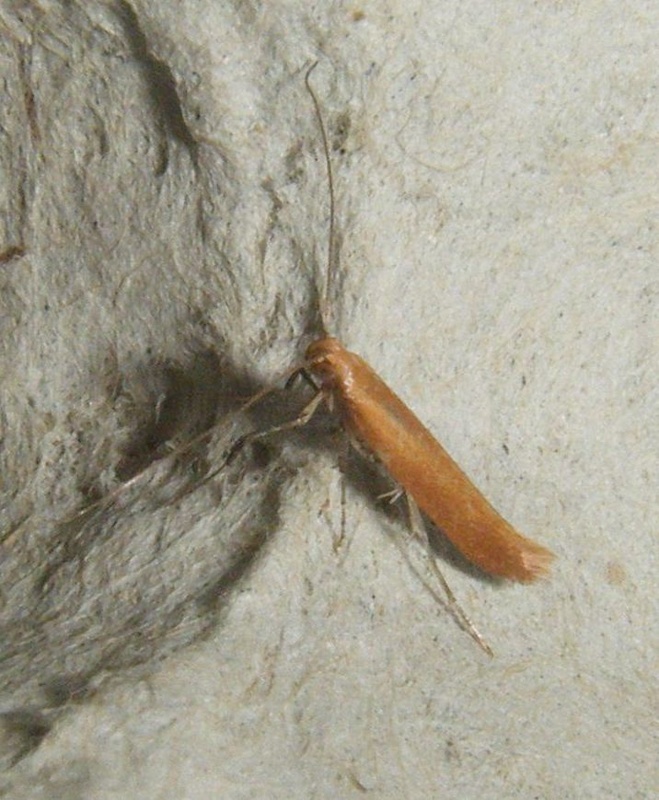 A long bodied chestnut brown moth. 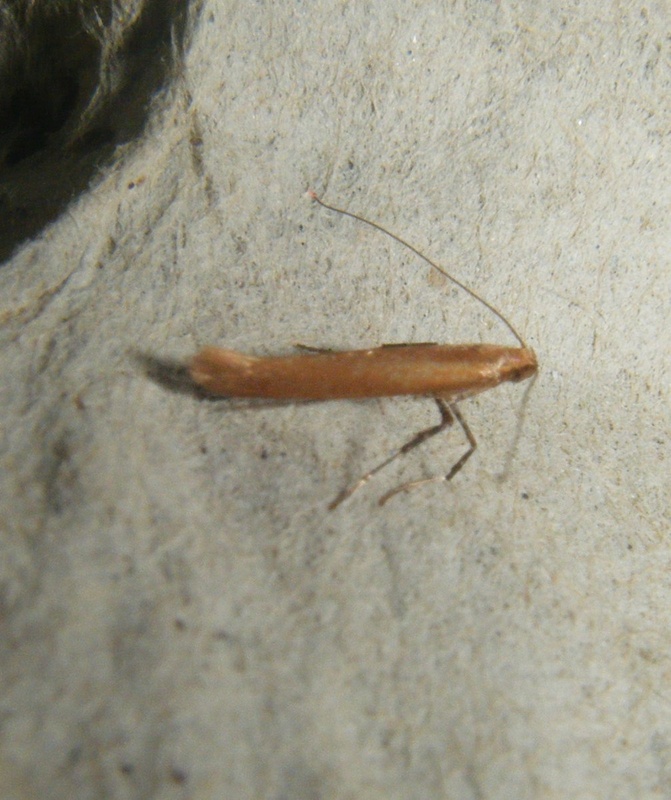 Like other Caloptilia species, it rests with a distinctive posture, the front part of the body raised high on the forelegs. This moth has two generations, with adults flying in June and again during September, after which they hibernate and reappear in spring. 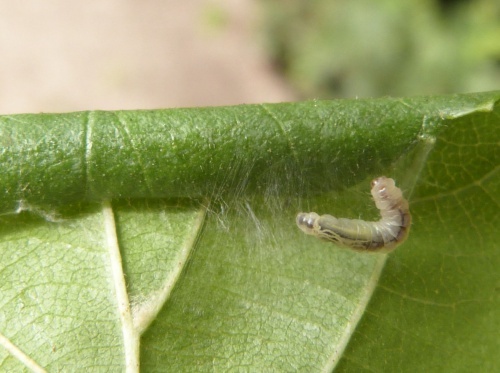 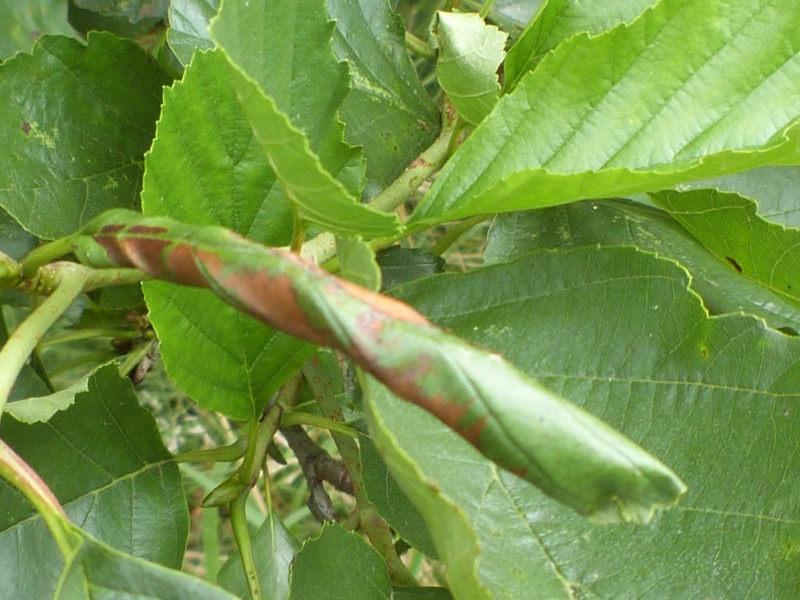 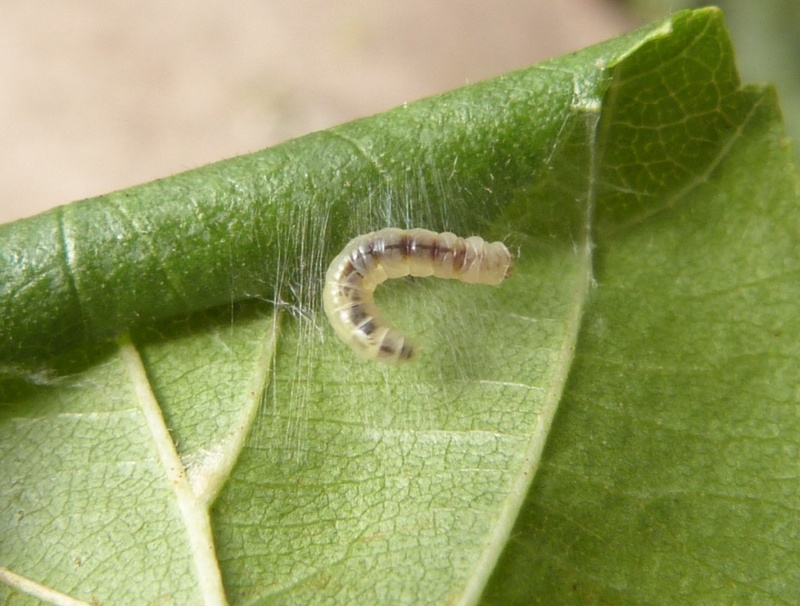 The larvae feed at first in a mine, and later in a folded or rolled leaf of Alder. 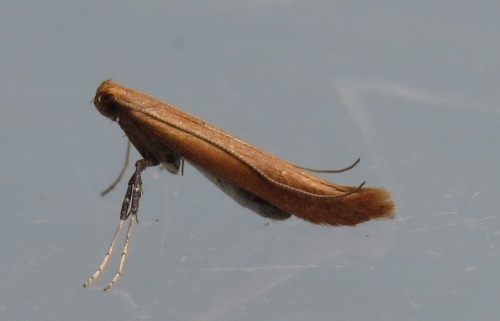 Widespread and fairly frequent in some parts of Britain. 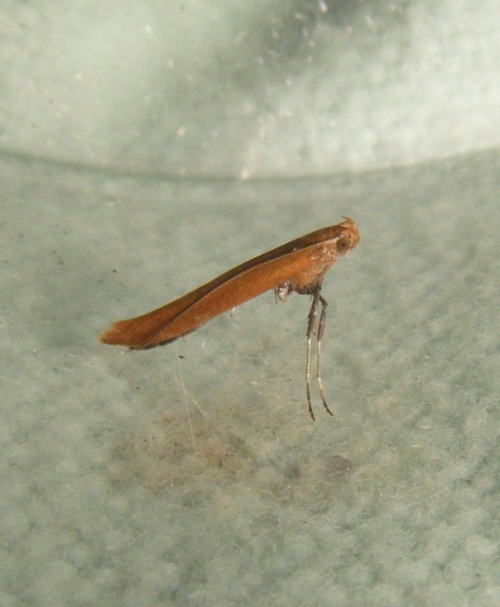 In the Butterfly Conservation's Microlepidoptera Report 2011 this species was classified as common.